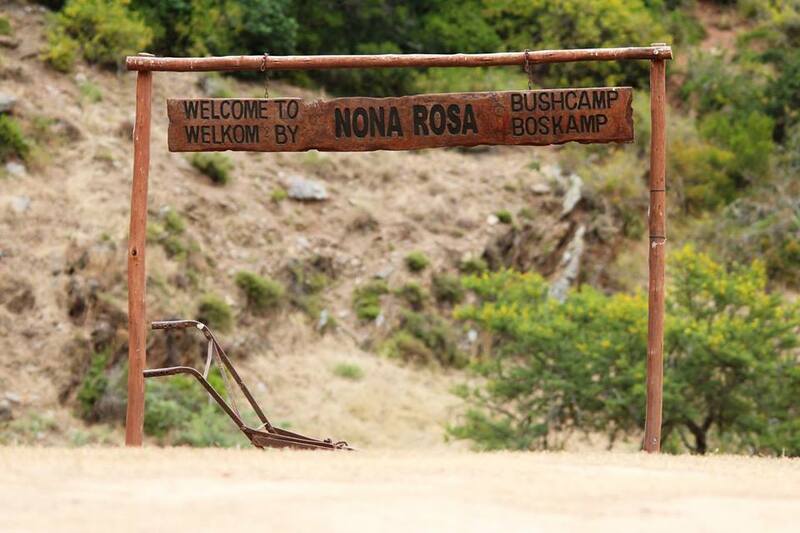 Nona Rosa Bushcamp is situated in the Southern Cape along the Garden Route, on the farm Nona Rosa, and hidden on the banks of the Slang River. 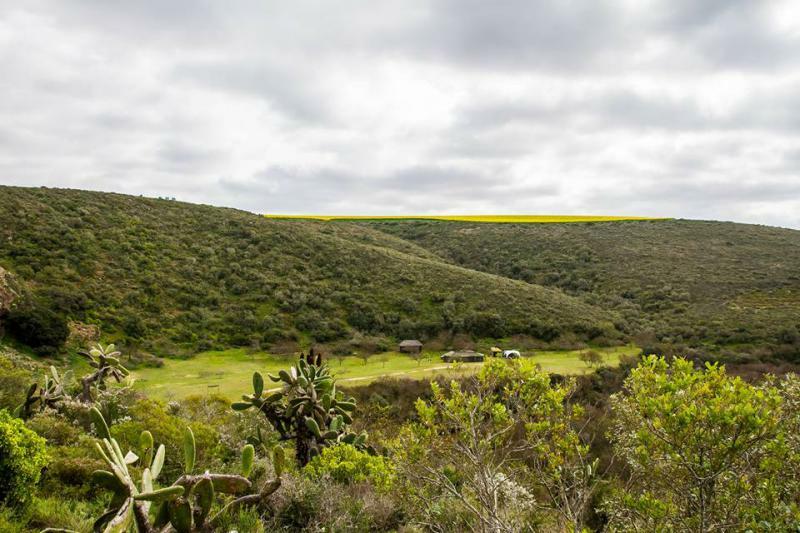 It is ± 4km off the R322 and halfway between Heidelberg Cape (20km) and Witsand at the mouth of the Breede River (17km). 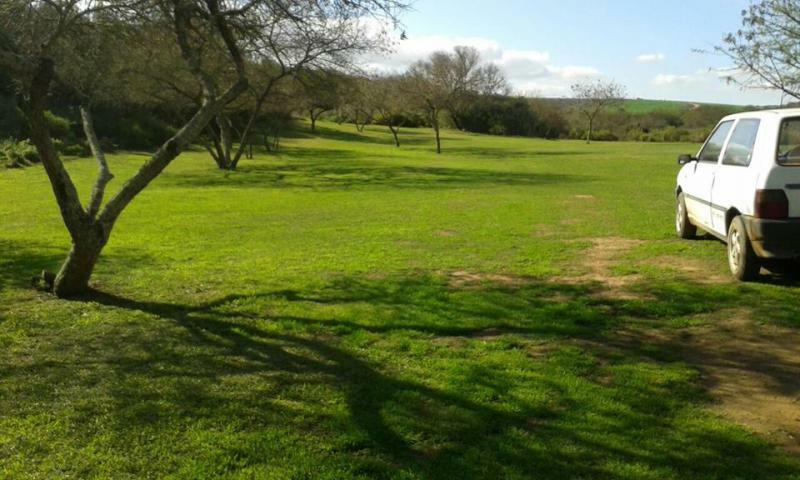 The farm is about 800 ha of which ±500 ha is still agricultural land. The rest is untouched bush, krantzes, valleys, hills and river with big water pools. The whole of the farm is available for exploring. 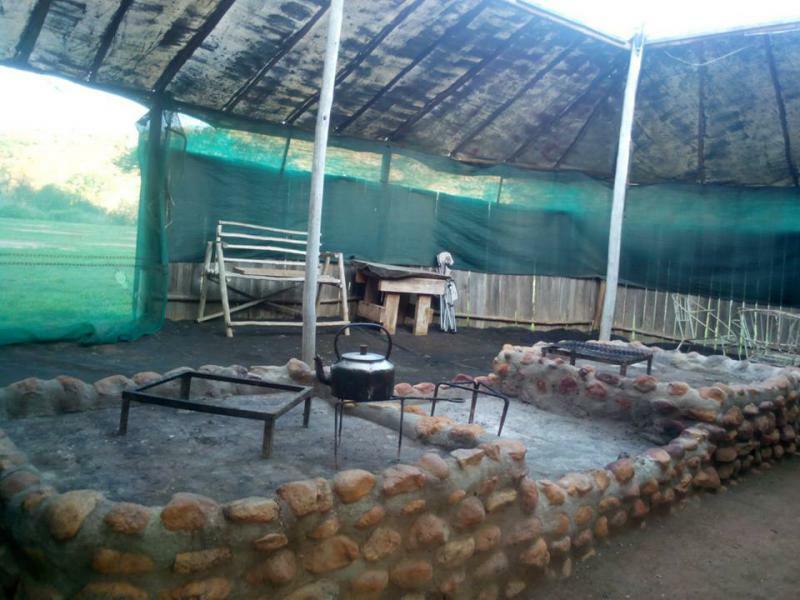 The campsite is situated at the foot of 55m high krantzes next to the Slang River and consists of a 12m x 6m oval wooden lapa with a partial open roof and a big fireplace and braai area. 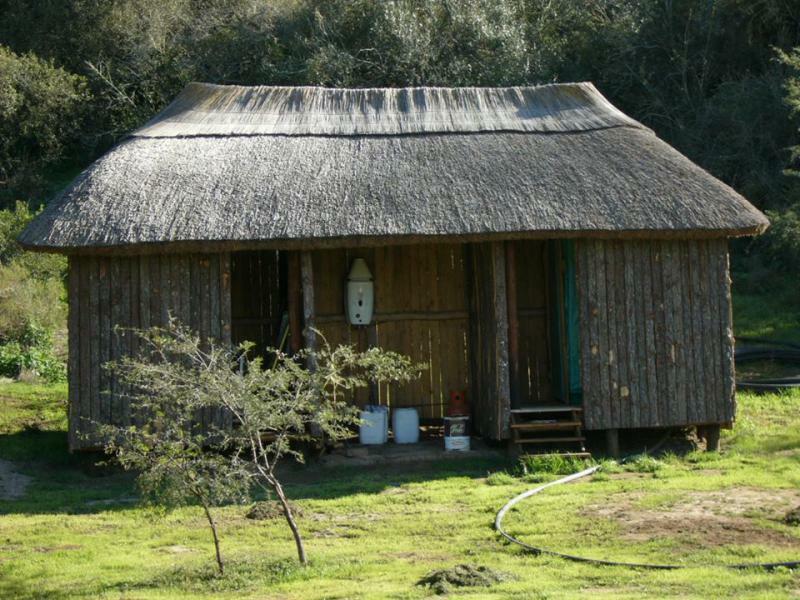 The ablution facility is a thatched roof wooden hut with fresh drinking water, two hot showers, two flush toilets and a dishwashing area. There is no electricity and cellphone reception is only on higher areas. There is also ablution facilities for bigger groups which consist of 4 toilets and 4 showers with a donkey geyser. 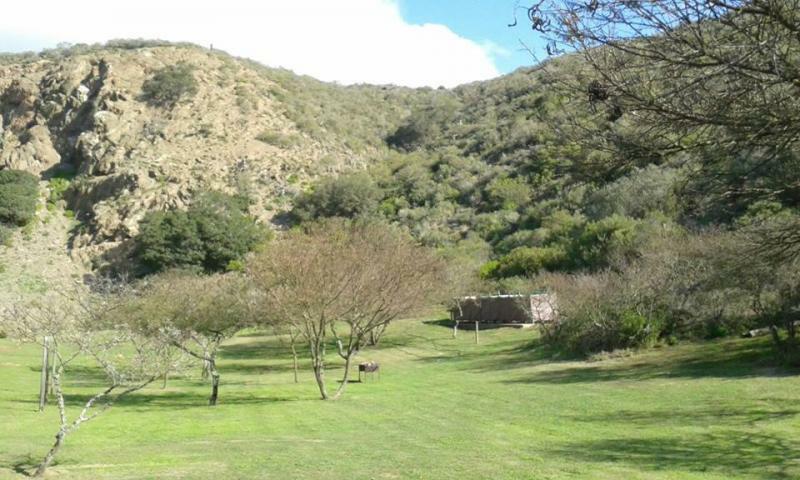 The campsite is very rustic and takes you back to peace, tranquility and quietness. It is not suitable for the faint hearted but ideal for the nature lover. Due to the type of terrain and farm roads, motorcars (low vehicles) and normal caravans cannot easily be accommodated! This terrain is very suitable for youth camps that are nature oriented. Night-drives for nocturnal animals under the supervision of a guide can be arranged. Takes ± 2-4 hours. 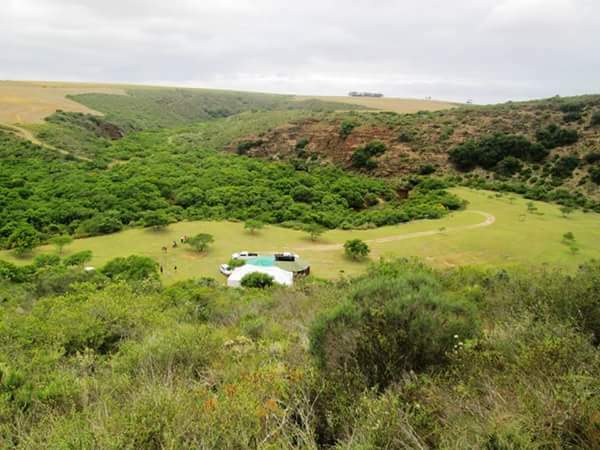 This campsite is ideal to be used as base camp for daytrips to other tourist attractions on the Garden Route. 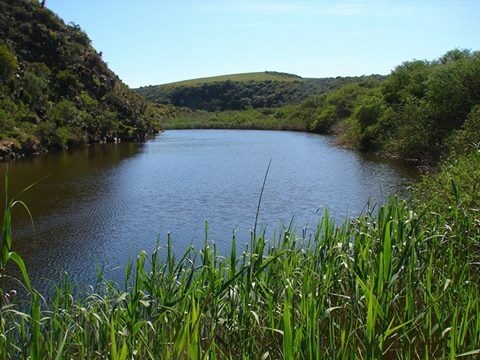 Other tourist attractions in the vicinity includes hiking and birding in the well known Grootvadersbosch, whale watching and fishing at Witsand and fishing for the elusive big cob (100 pounders) on the Breede River. Fuel, liquor, meat and other supplies are available in Heidelberg and Witsand. Doctors are available in Heidelberg (20km). Right of admission is reserved and some rules and regulations do apply. Firearms are not allowed. Dogs will be allowed under certain conditions. You enter this property at your own risk.